The Jets and quarterback Mark Sanchez’s representatives met Friday at the NFL scouting combine to discuss the quarterback’s future with the team, Rich Cmini of ESPN New York reports. While nothing was resolved in what was termed a preliminary discussion, the two sides agreed to maintain open lines of communication. Sanchez, said to be progressing nicely from surgery on his throwing shoulder last October, will return to New Jersey next week to continue his rehab at the Jets’ facility. 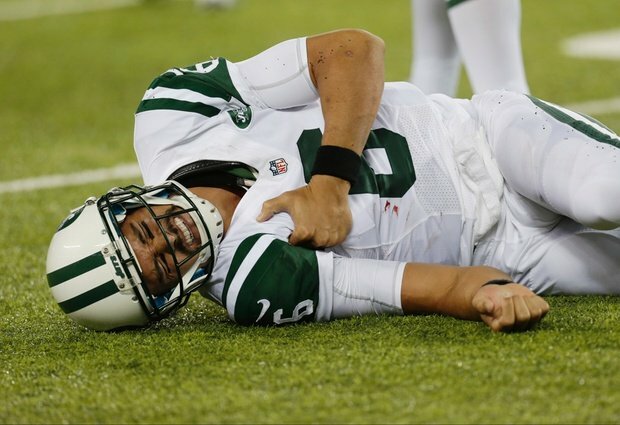 That will allow the medical staff and decision-makers to get a first-hand look at Sanchez’s arm/shoulder strength. 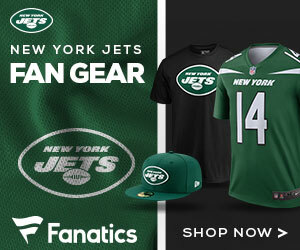 On Thursday, coach Rex Ryan told reporters that Sanchez had resumed throwing. One source said the former starter has progressed to the point where he can throw with good zip on the ball. He’s expected to be ready for training camp, possibly OTAs in the spring. The two sides are operating under a March 25 deadline. The Jets have to make a decision by then because if Sanchez is on the roster on that date, they owe him a $2 million roster bonus — and that won’t happen. With a $9 million base salary, and a $13.1 million cap charge, Sanchez would have to take a significant pay cut to remain on the team.